Stanley Park Ecology Society—with support from Canadian Wildlife Federation—hosted a massive 24-hour, science-based Bio Blitz in the Park in August. During the blitz, teams of experts and citizen scientists explored and inventoried different ecosystems and habitats throughout the Park. They recorded and uploaded their findings using iNaturalist. Of the species documented, the most intriguing and bizarre was the bryozoan Pectinatella magnifica. This species had never before been officially recorded within Stanley Park. 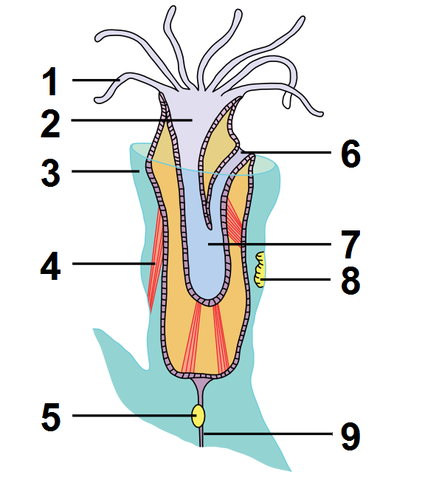 The original member of the colony reproduces asexually, through budding, to create an entire colony of clones. As a colony forms, they produce a protein which creates the slimy gelatinous structure that the individual zooids attach to and live on. 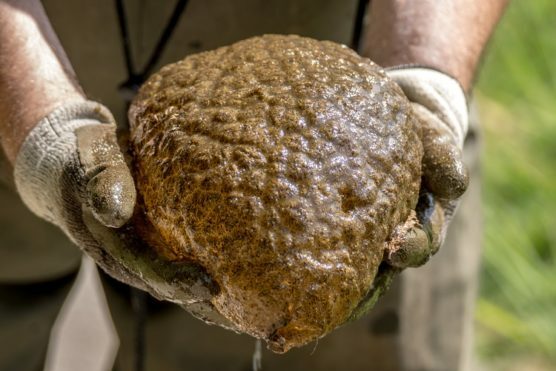 This gelatinous mass can reach over 50 cm in diameter. Colony members cooperate with each other and work together to perform different functions—much like organs of other animals. Bryozoans are filter feeders; they extend a loop of hair-like tentacles into the water and sift out plankton and organic material. New colonies will establish from a free-swimming, microscopic larval stage or by growth of dormant spore-like statoblasts. 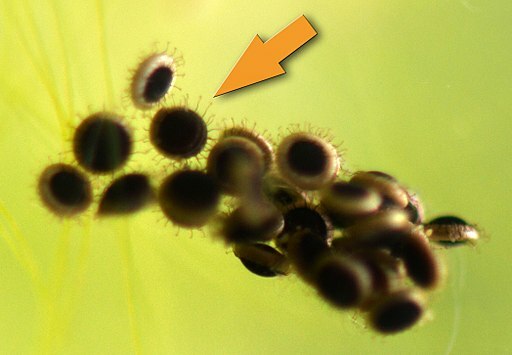 These “spores” can be inadvertently transported by ducks flying between water bodies, or by wind pushing them about a lake. 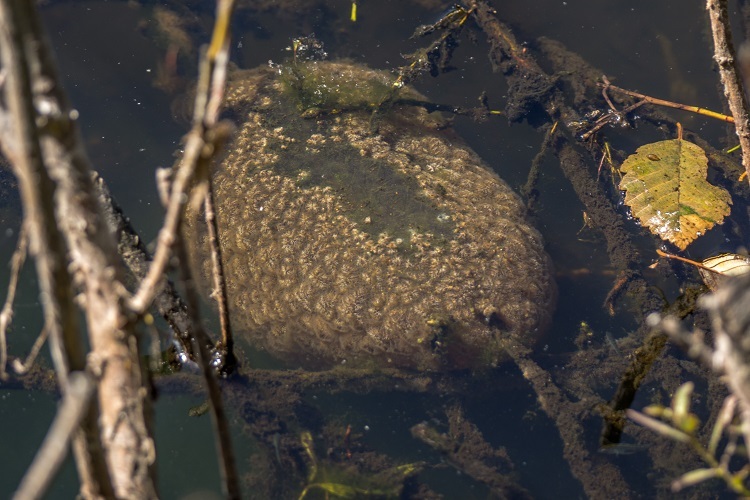 Most bryozoan species are found in the ocean (some species secrete delicate coralline crusts on our local kelps), but P.magnifica is one of 20 freshwater species found across North America in ponds, lakes and streams. Facebook readers report seeing them in Mission, Okanagan Lake, Duck Lake near Kelowna, Kanaka Creek, Harrison River and elsewhere in BC. They are encountered more commonly in central and eastern Canada where one reader noted them in Orillia, Ontario. We shared our discovery of the colonies of freshwater bryozoans on our facebook page and received over 33,000 views! You might have heard about the Lost Lagoon discovery from various news sources. If you want to see the creatures yourself, visit Lost Lagoon soon and peer into the water at the edge of the lake’s man-made biofiltration pond. You may see blobs ranging in size from a peach to a football. While there, drop by the Stanley Park Nature House and ask our Hosts any questions you have about Stanley Park’s latest discovery.